This is the code that My 03' Infiniti i35 Just threw. 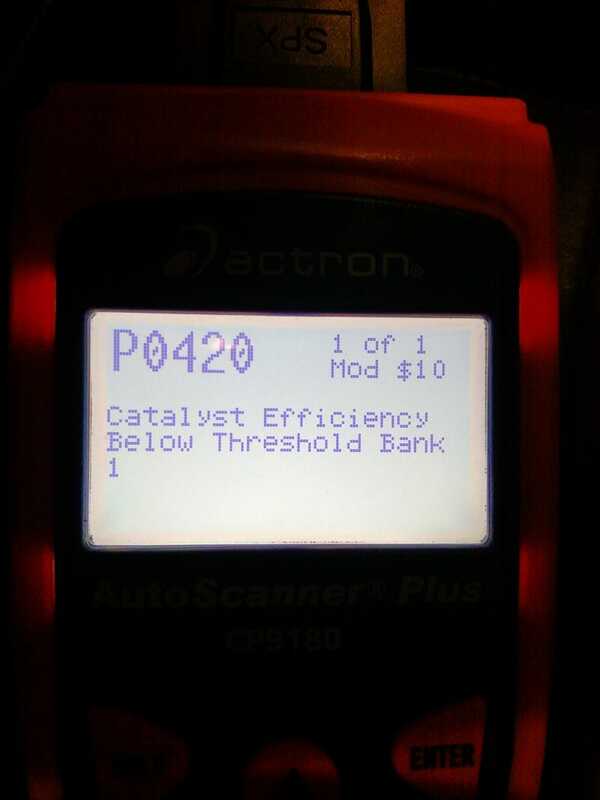 P0420 could mean that the O2 sensor is bad, the Catalytic converter is bad, or that something is wrong with my exhaust system. Now, I had the same code come up on my old Volvo s40, and it turned out to be the O2 sensor. Now, nothing feels wrong with the car, mileage hasn't dropped, and it doesn't sound different, so can I just leave it until I have to bring it in for emissions? By the way, If you have old or high mileage cars, A code reader is one of the best investments you can make. It has probably saved me over $500 so far.